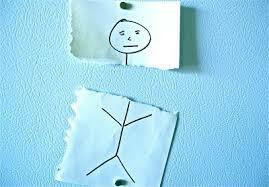 This is only possible for stick figures, but that doesn't mean NDEs aren't a real neurological phenomenon. So far I've only taken near-death experience true believers to task. But what about the skeptics? I feel I must take exception to some comments a prominent skeptic, Steven Novella, made regarding NDEs. I and most scientist favor the more mundane and likely explanation that memories of NDEs are formed at other times, when the brain is functioning, for example during the long recovery process. But I remembered my coma-dream immediately after my awakening. I think such esteemed skeptics are throwing the baby out with the bathwater, dismissing NDEs as simple woo. Of course, the thinking goes, the "experiencers" aren't seeing Heaven. As Keith put it, that would be magic. Mind-brain separation is impossible, as well, so NDEs must all be bunk. I fell victim to the same thinking until I researched NDEs. It was a real eye-opener when I realized that NDEs were experienced in a wide variety of circumstances that aren't life-threatening, such as fainting. And there are plenty of credible theorists who support the basic existence of NDEs, but nonetheless doubt the supernatural underpinnings, such as neurology professor Kevin Nelson, with his REM intrusion theory. Maybe the brains of the "experiencers" were functioning in a way that the available emergency room equipment couldn't detect. Perhaps, if the hospital where that one patient was taken happened to have a spare fMRI machine handy, we could've found out. As I said in my Skeptical Inquirer article Covert Cognition: My So-Called Near-DeathExperience, "NDEs can't be proof of mind-brain separation if the minds of those experiencing them are still active." He uses it as an example of a dodge because the study failed to find a single instance of remote viewing of the targets by the cardiac arrest patients. (Now there's a shocker.) Fair enough, and he's right to question the validity of anecdotal recalled accounts. Yes, even my own. He's being a good skeptic by doing this. However, I took a different lesson from those findings. I believe it's entirely possible that the one patient was indeed aware, though it had nothing to do with mind-brain separation. It was a form of covert cognition. I think both sides of this issue are succumbing to the same assumption: the brains of these patients are not functioning. I would add...that we can presently detect. The science of covert cognition is quite new, and it contradicts longstanding neurological understanding so radically that the implications haven't fully sunk in. Now, Novella makes some excellent points about the methodological shortcomings of the study. He's a clinical neurologist and an assistant professor at the Yale School of Medicine, so I'll allow that he knows more about this subject than I do. The same goes for Kevin Nelson, whose extensive research into NDEs has convinced him of the neurological validity of the phenomenon. And let's not forget Dr. Adrian Owen, as well as the other covert cognition researchers who believe, based on their findings, that as many as one in five patients with disorders of consciousness have covert cognition. If Dr. Owen is able to eventually succeed in developing standardized techniques to sense covert cognition using EEGs, the process could also be applied to heart attack patients. And then perhaps well find that cardiac arrest victims thought to lack brain functioning still have a level of consciousness, as well.